On November 22, 1998, Grandmaster William Cheung was inducted into the 1998 Blitz Hall of Fame, receiving the award for “Lifetime Tribute for Martial Arts”. He has been called the Masters’ Master; he was considered by Bruce Lee to be the “ultimate fighter”: William Cheuk Hing Cheung was the sole inheritor of the Traditional Wing Chun Kung Fu system, and was the person responsible for introducing Bruce Lee to Wing Chun Kung Fu.. Between 1957 and 1958 Cheung won the Kung Fu elimination contests in Hong Kong, defeating opponents with many more years’ experience. In early 1954 Cheung introduced Bruce Lee to Grandmaster Yip Man, and became his personal trainer. Throughout the four and a half years the two men developed a very close friendship, and Cheung passed on to Bruce Lee most of his techniques and helped developed his overall confidence and experience in fights. In later years he was to use these techniques in competitions, and also in his movies. Many of Cheung’s students have achieved international recognition for their martial arts prowess. In 1982 his students, Joe Moahengi and Rick Spain, won the heavyweight and middleweight divisions respectively in the World Invitation Kung Fu Championships held in Hong Kong. Furthermore, Cheung himself, in 1983, was inducted into the “Black Belt Hall of Fame” as Kung Fu Artist of the Year and again in 1989, into the “Inside Kung Fu Hall of Fame” as Martial Arts Instructor of the Year. It was at the Harvard University, Boston, in 1984 that Grandmaster Cheung set the world speed punching record of 8.3 punches per second . 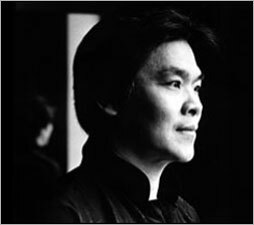 To promulgate his ideas and stimulate and enliven the art, Cheung has authored a variety of books for the general public including “Wing Chun Bil Jee”, “Wing Chun Butterfly Swords”, “Wing Chun Dragon Pole”, “Advanced Wing Chun”, “How to Develop Chi Power”, “Wing Chun Kung Fu” (in French), “A Comparison of Wing Chun and Jeet Kune Do” Volumes I and II. He has also produced a number of videos, including the well-known “The Wing Chun Way”, “Tao of Wing Chun” and “PRO-TEKT: A Personal Protection Program”. From his early training in Martial Arts, Grandmaster Cheung has become an expert in Meridian, Pressure Points and Meditation dealing with internal energies. Over the last ten years he has used this knowledge to develop many successful programs treating sports injuries and teaching stress management. As the result of these, Grandmaster Cheung’s seminars, workshops and treatments are now much sought after all over the world.